Business Week has a pretty interesting article about Kadokawa Holdings (released The Melancholy of Haruhi Suzumiya and Lucky Star in the U.S). While I wrote about Kadokawa’s Youtube channel opening in April, I had no idea of their true intentions. Kadokawa had pretty good sales numbers of their Haruhi DVD here in the U.S. What’s cool about it is they hardly had to do any advertising, which is unheard of in the U.S. anime market. 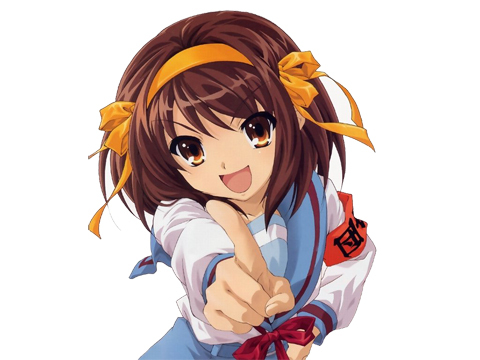 Kadokawa capitalized on the popularity of the fan-made Haruhi videos on places such as Youtube, Crunchyroll, and Veoh. So began their experiment. While some lawyers see Kadokawa ignoring copyright infringement as crazy, Kadokawa sees it as adapting their business model for this new era. Rather than angering anime fans stateside, they are wanting to encourage the viral spread of their titles. Kadokawa has a team of employees set up watching every Youtube video dealing with Haruhi or Lucky Star. If they feel the video is just a rip from their DVD, they will ask the user to remove it. However, if the video is truely unique, like a MAD video, they will put their official Kadokawa logo on the video, and actually endorse them! Other anime companies are watching this experiment closely as traditional means of tackling the anime community stateside isn’t working. Check out Kadokawa’s Youtube channel.